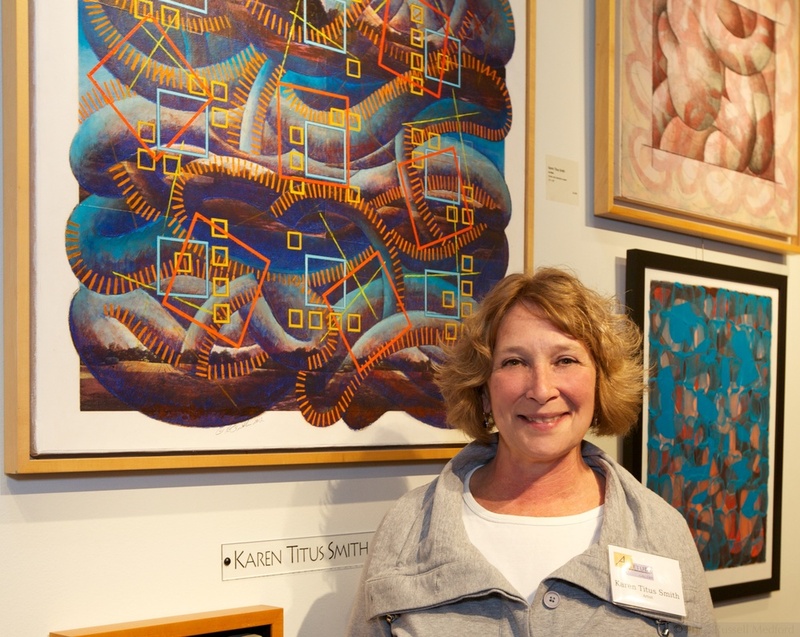 If you weren't able to join us for our First Friday Art Walk on April 3rd, there is still time to see new works from Grant Penny, Suzy Schultz and Karen Titus Smith. 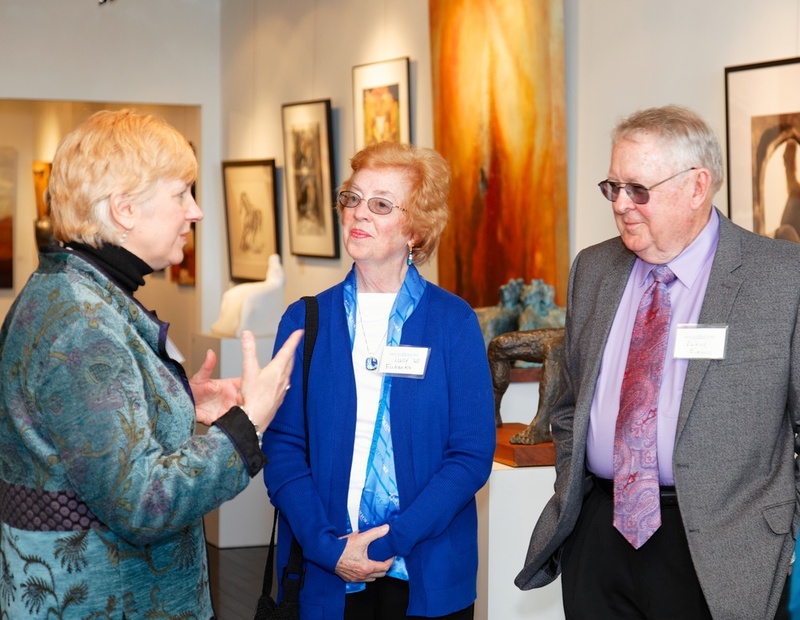 Our exhibition "New Artists and Old Friends" runs through May 31st. 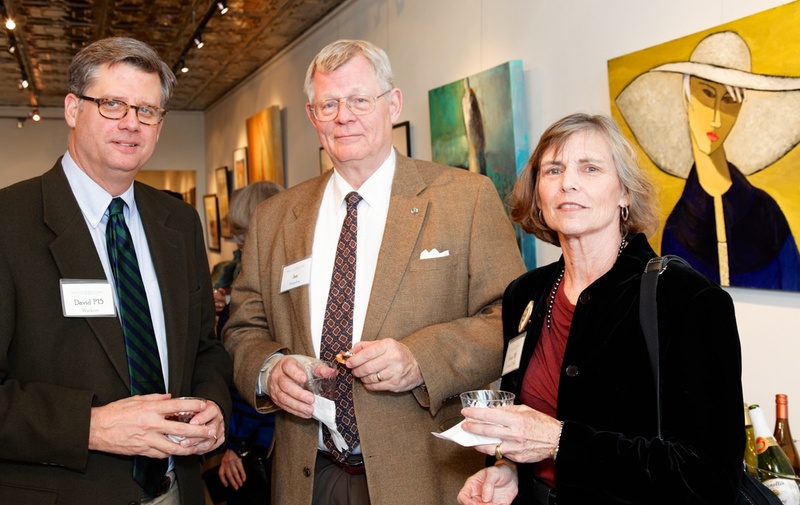 However, you may have missed a chance to speak with Asheville's own Grant Penny regarding his exceptional collage work. 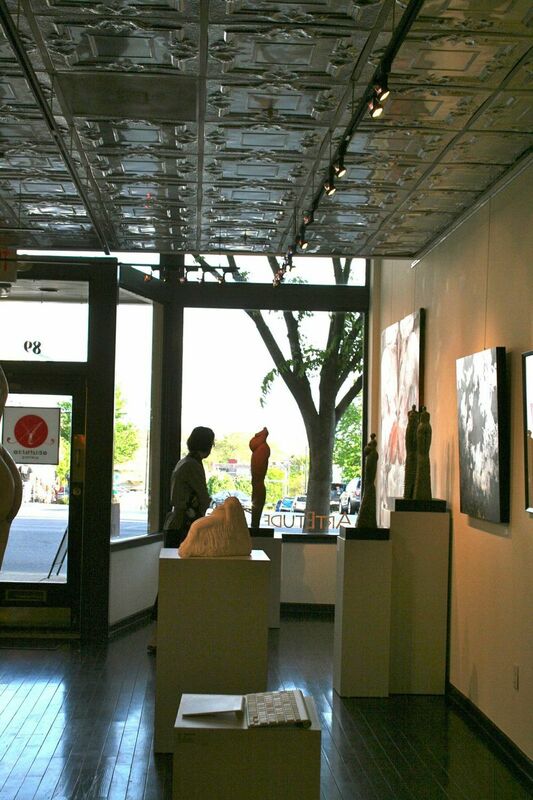 Upon examining his work more closely, you overlook the simplicity of his art as you begin to embrace the complexity and discipline in his design process. 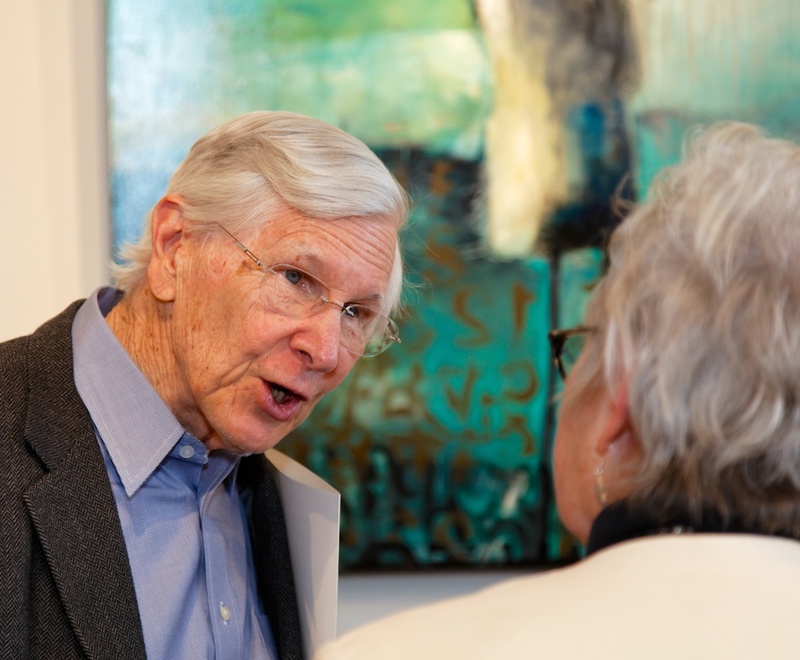 As he says, it is the simple things that bring him joy and he definitely conveys that feeling of simplicity in his work but it the beauty within the process that makes his work merit a second look. 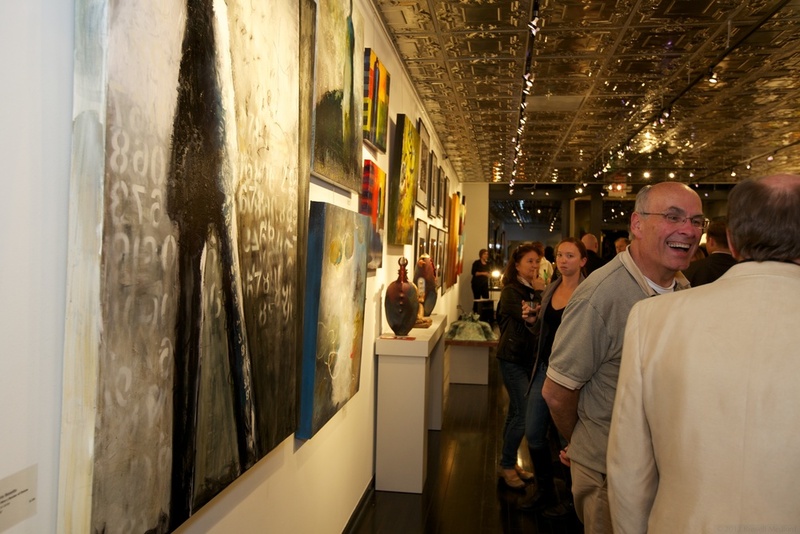 Tis the season to deck your walls, halls, and more with fine art and finely crafted gifts. 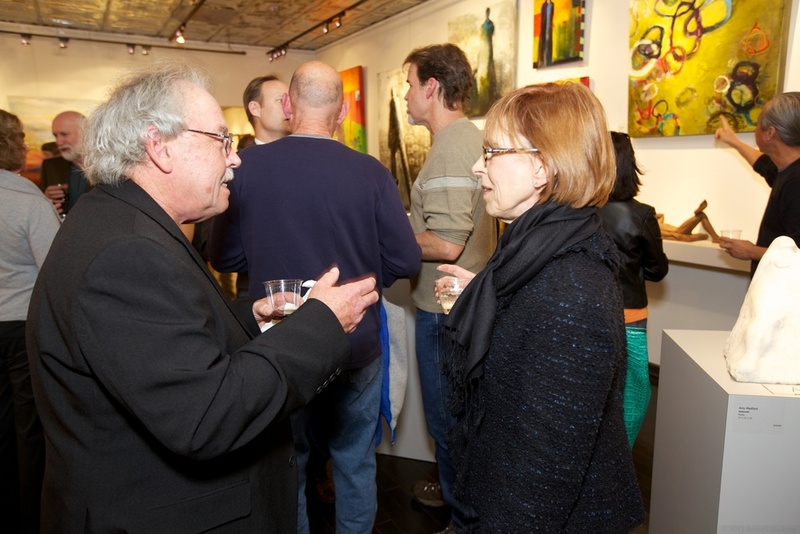 On December 5th we welcomed the (last) First Art Walk of the season. 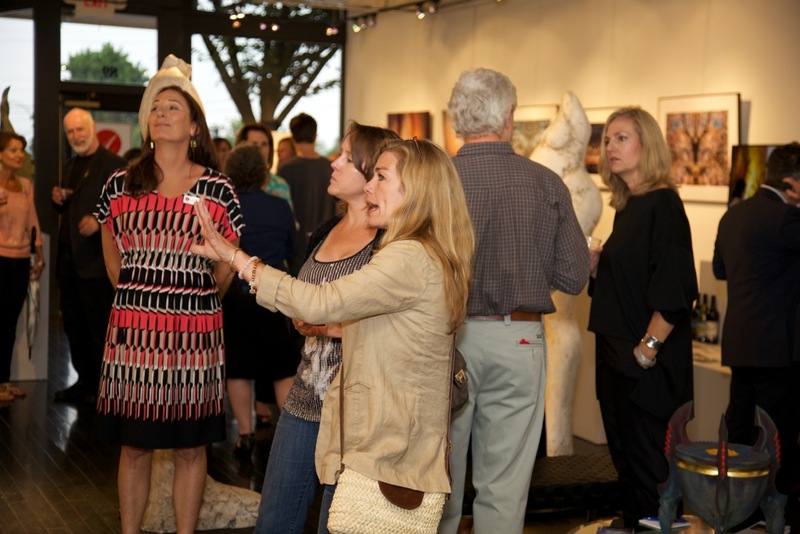 Viewers got a sneak peak at our handcrafted jewelry by Amy Medford, ceramics by Leonid Siveriver, and silk scarves created by Barbara Fisher. 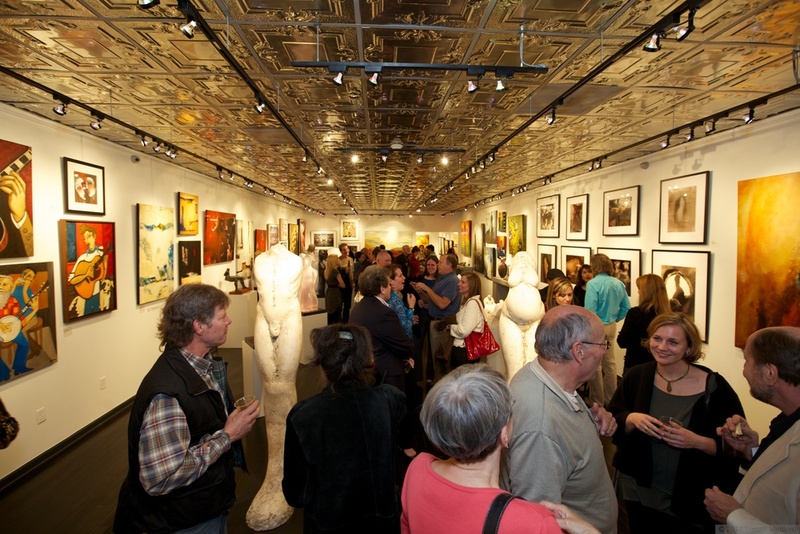 If you missed your chance to drop by on the Art Walk, not to worry, our holiday gift sale will be going strong until Christmas Eve! 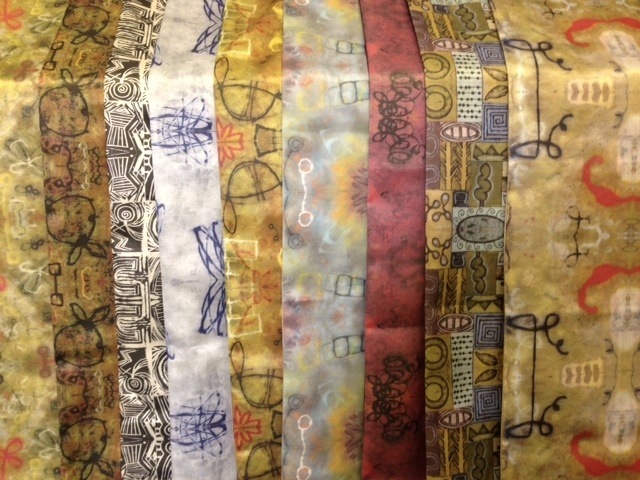 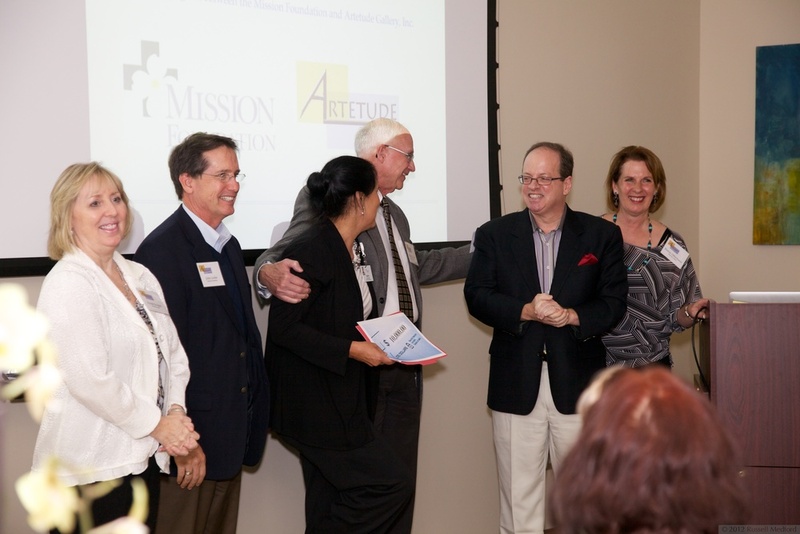 A portion of Artetude’s proceeds is donated to the SECU Mission Cancer Center in Asheville. 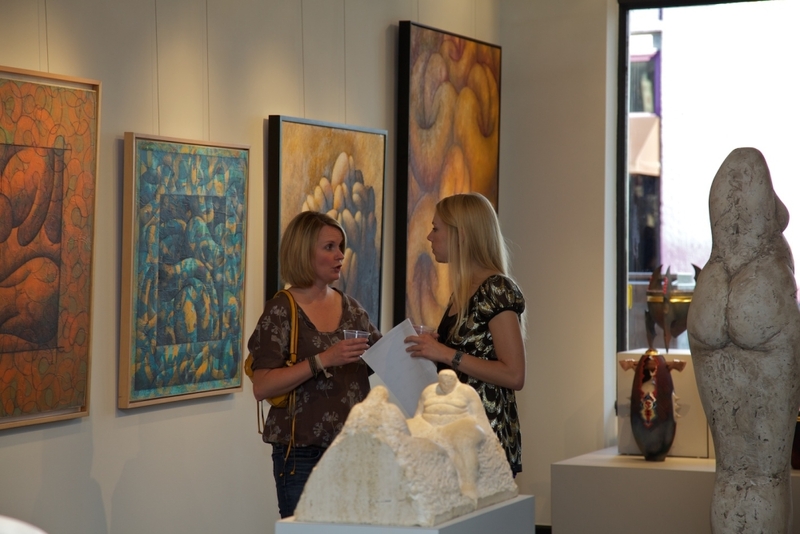 Please enjoy a review of the Evolution of the Landscape Opening Reception from this past Friday, July 18, 2014. 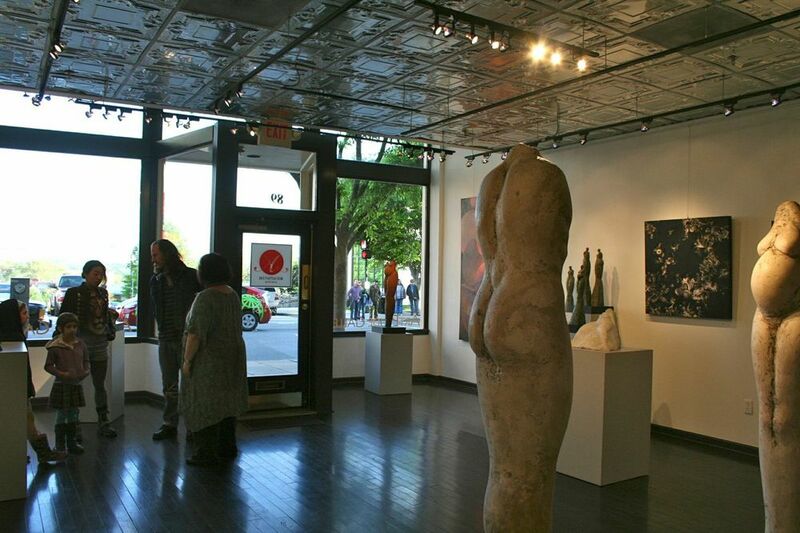 On view until July 29, 2014. 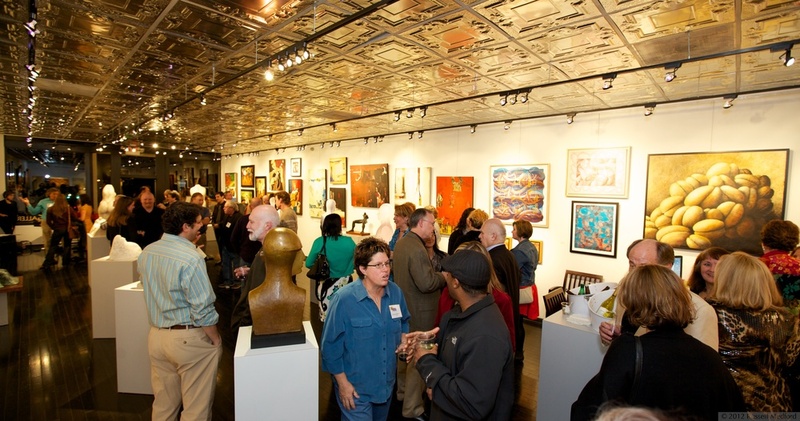 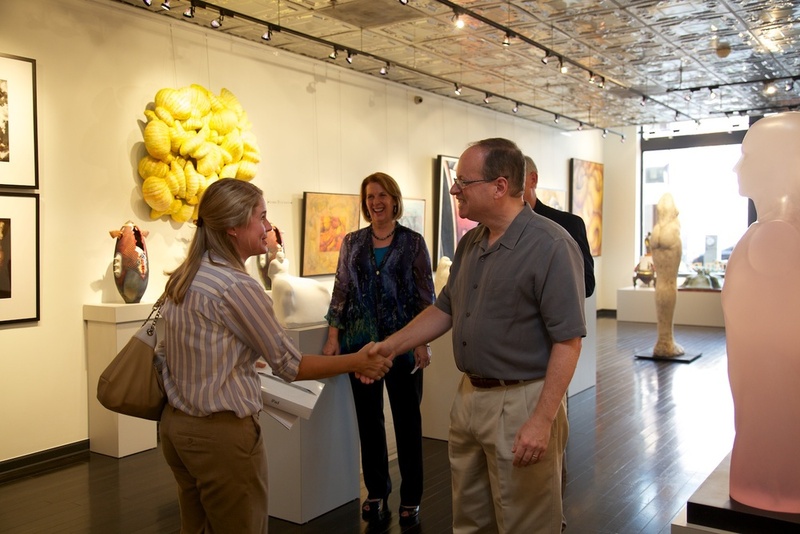 Artetude had the pleasure of hosting the Asheville Area Chamber of Commerce's June 2014 Business Before Hours event this past Tuesday. 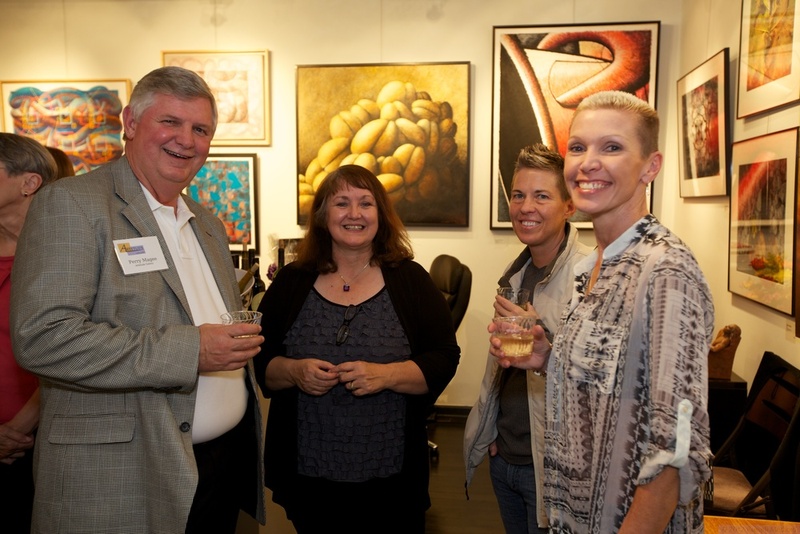 The event was a great chance to get to know our local chamber members and business people. 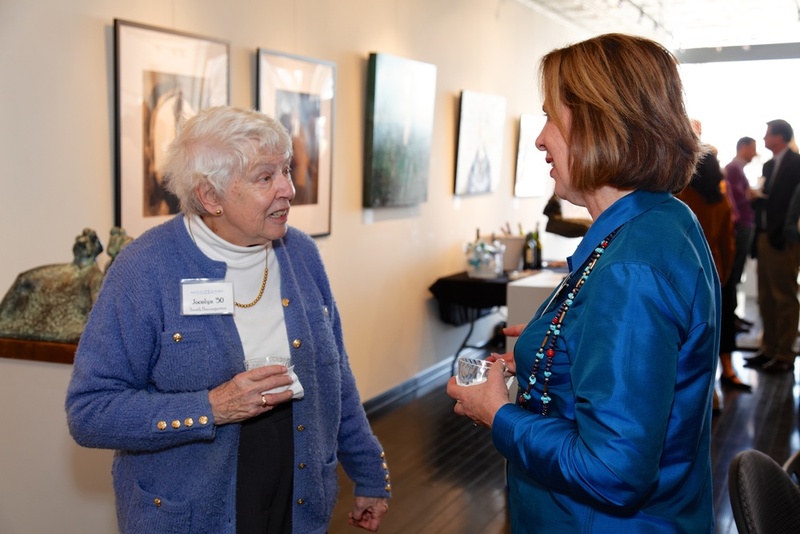 There was a delicious spread from Early Girl Eatery and door prizes generously donated from many of our local participants. 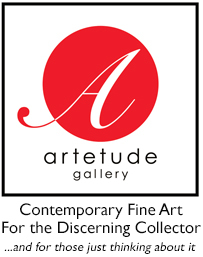 Artetude gave away a gorgeous coffee table book to one lucky winner! 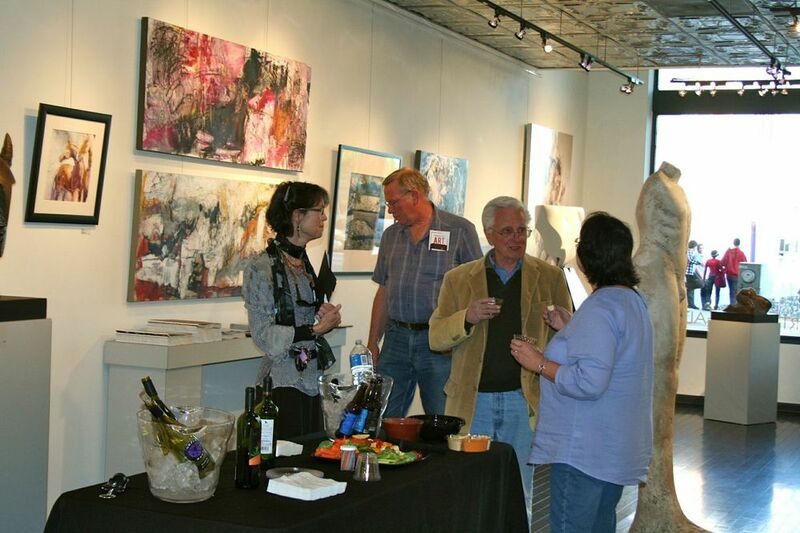 Other prizes included gift certificates and a set of the Jo Ridge Kelley wine collection from North Carolina Wine Gifts. 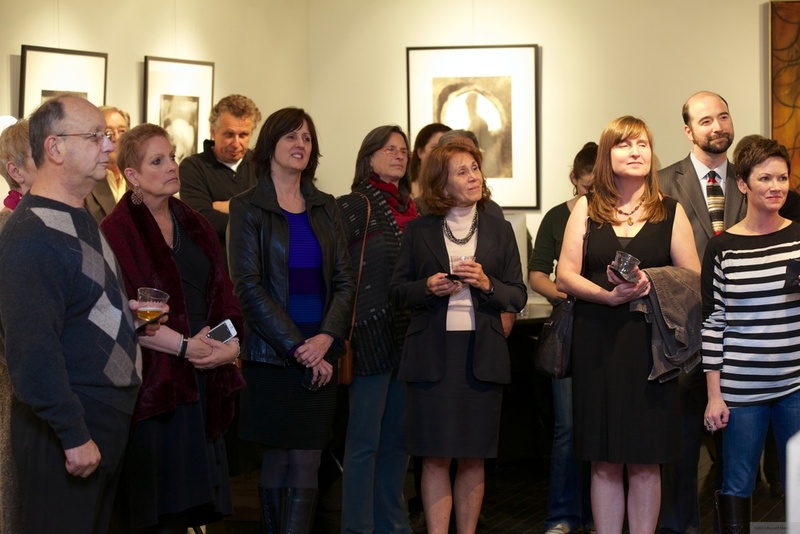 Thanks to all who came and participated in the event! 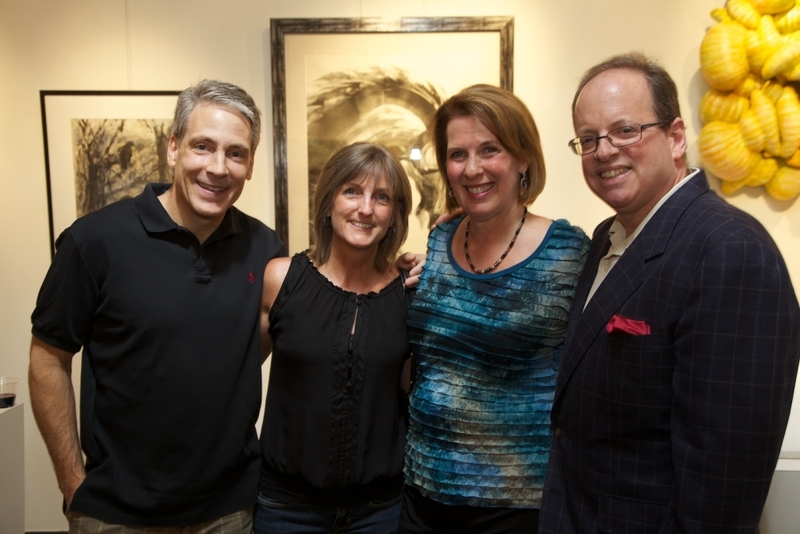 Thank you to everyone who celebrated our Second Anniversary with us last Friday night! 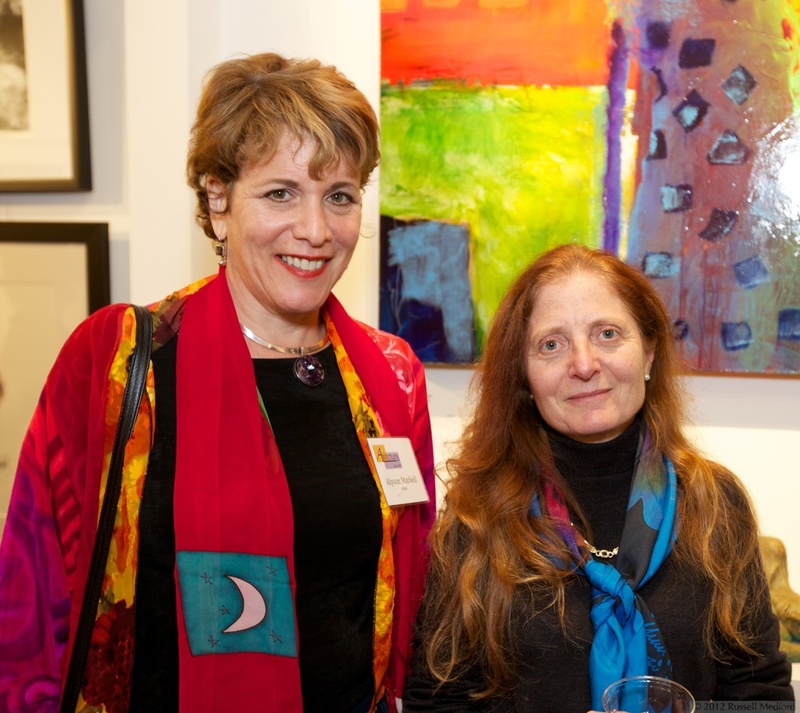 We have had two great years and look forward to many more. 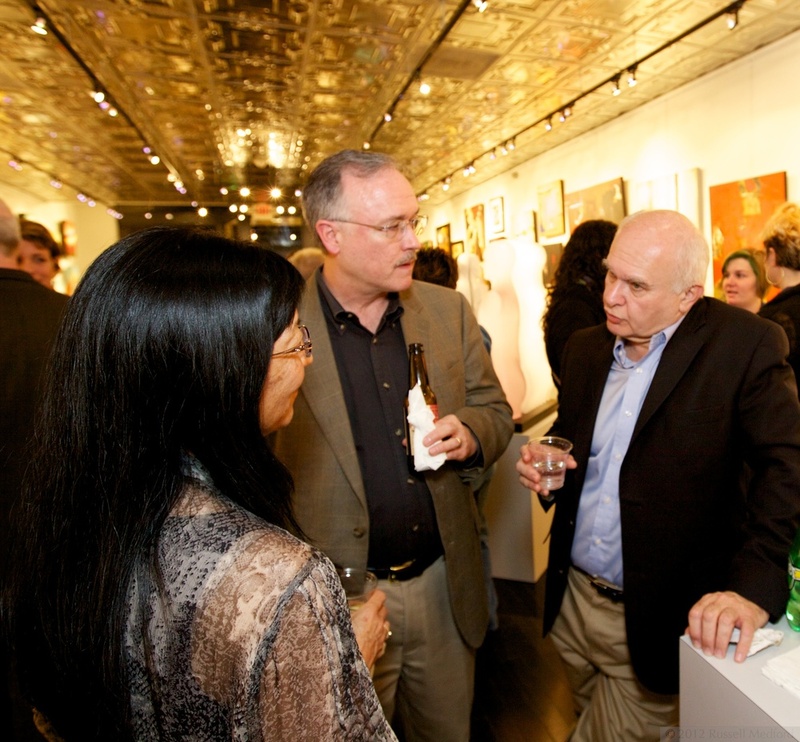 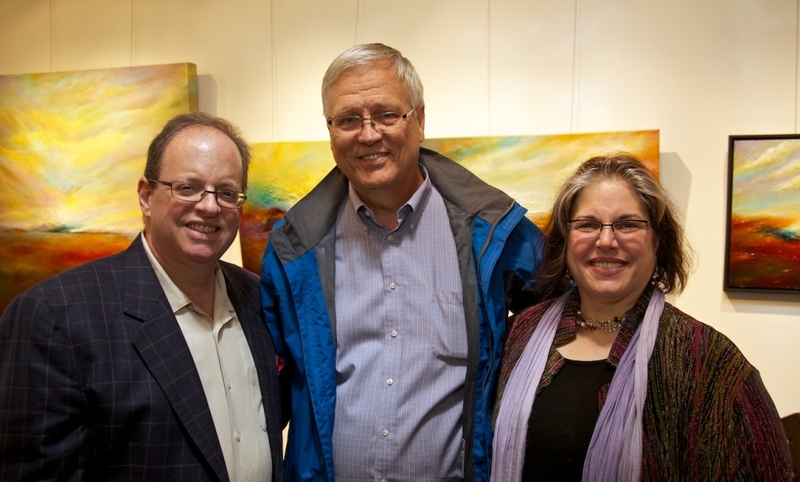 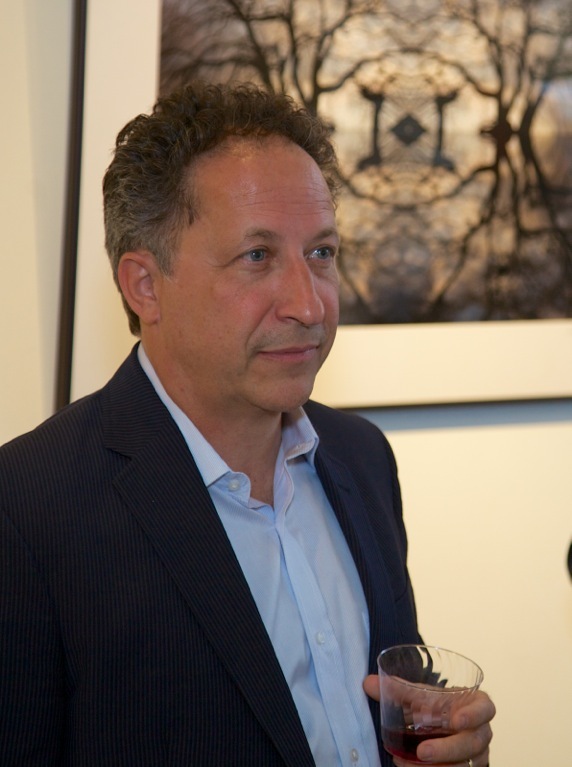 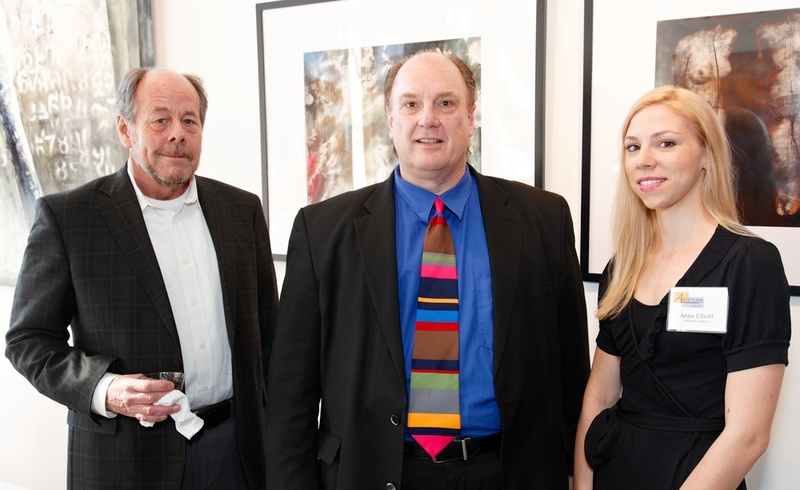 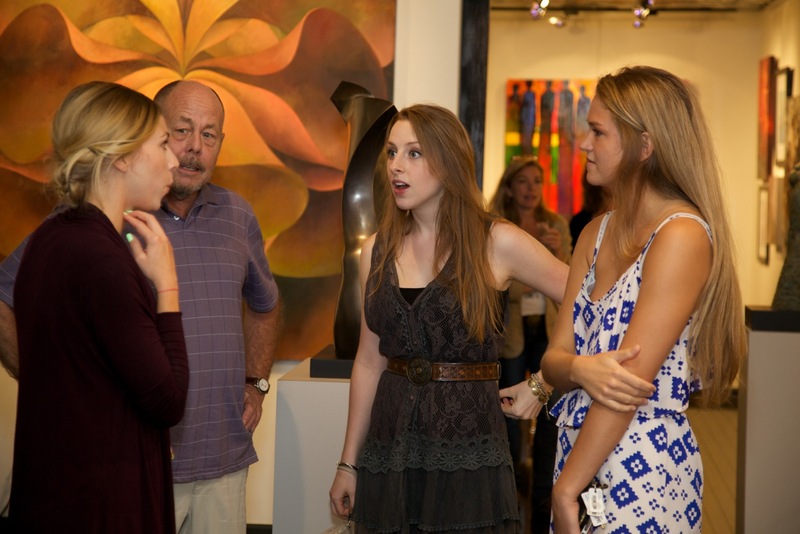 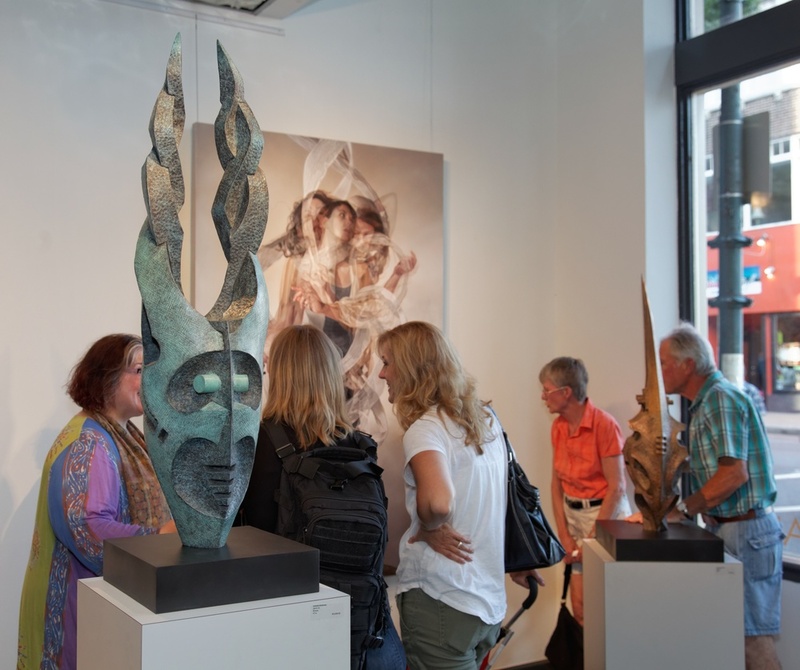 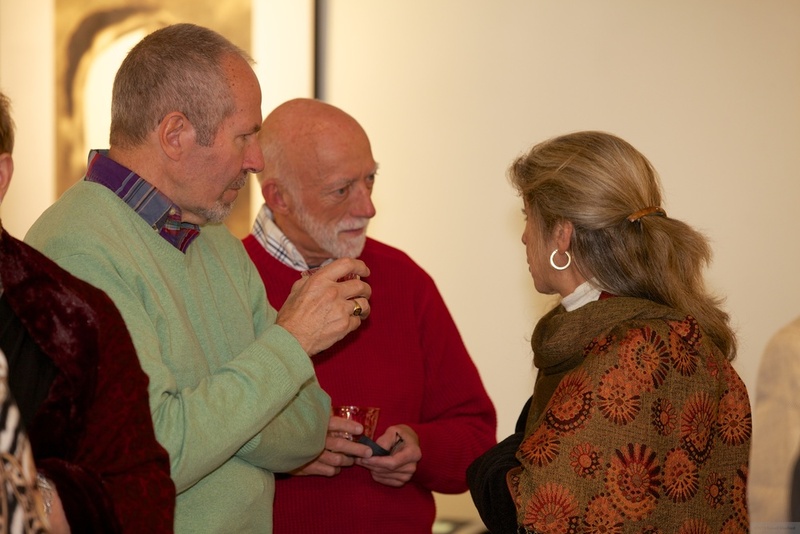 We celebrated with the opening of our June show "On the Verge" featuring new work by Robert Asman and Leonid Siveriver. 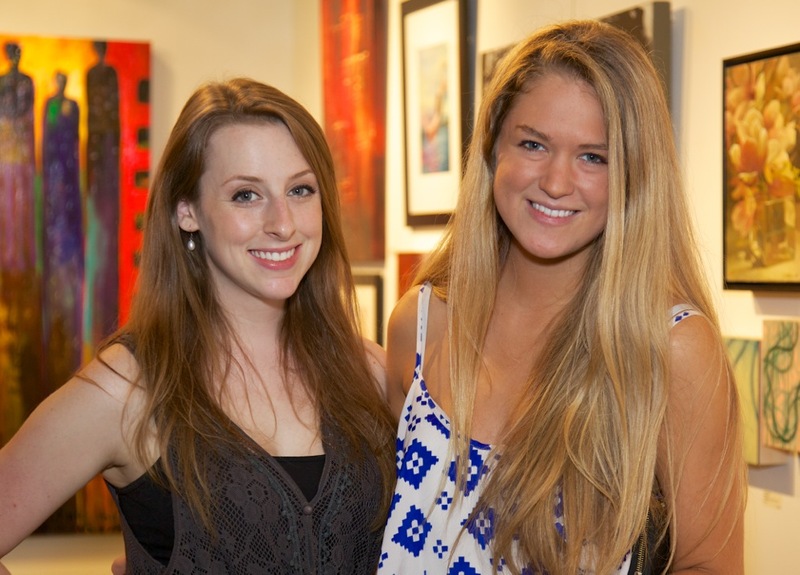 May 2014 Art Walk, Opening of "New Beginnings"
Thank you to all of those who attended the Art Walk on Friday, May 2nd, it was a great night! 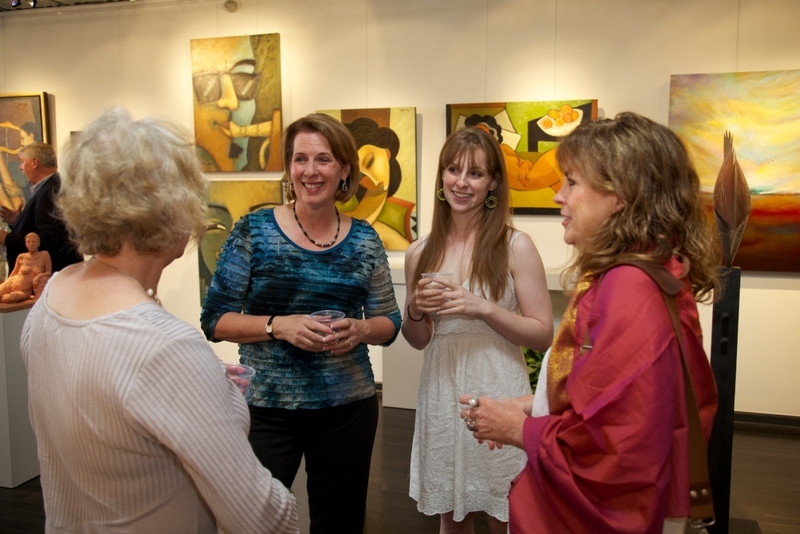 Friday was also the opening night for our May exhibition, "New Beginnings." 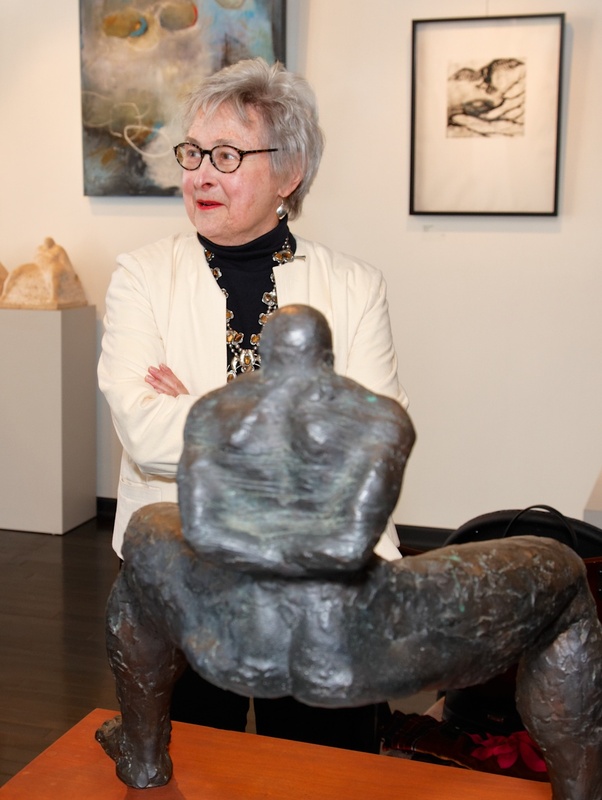 Our May show celebrates artwork that is emblematic of spring and also celebrates sculptor Amy Medford taking on a new role as Gallery Director. 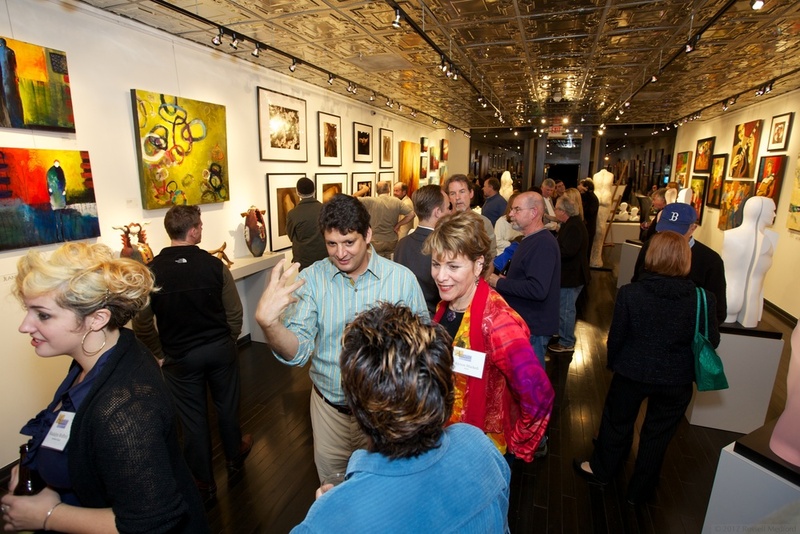 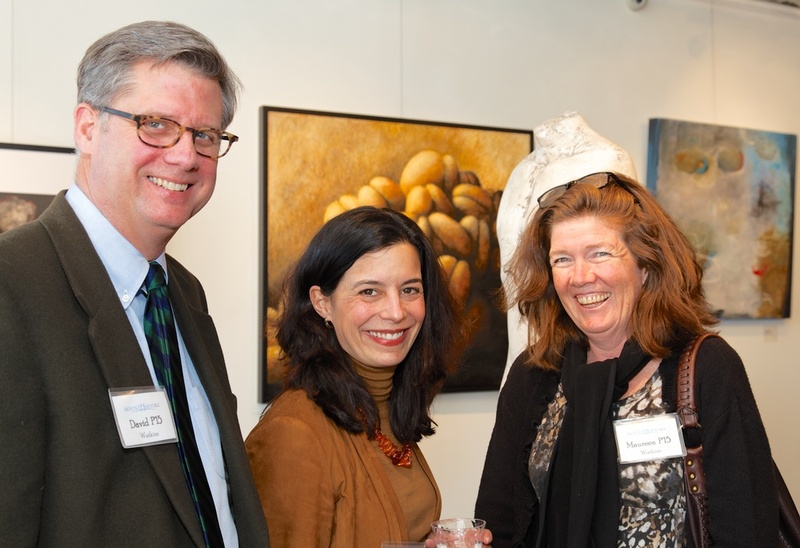 We love having the opportunity to celebrate Spring with old and new friends at Artetude Gallery. 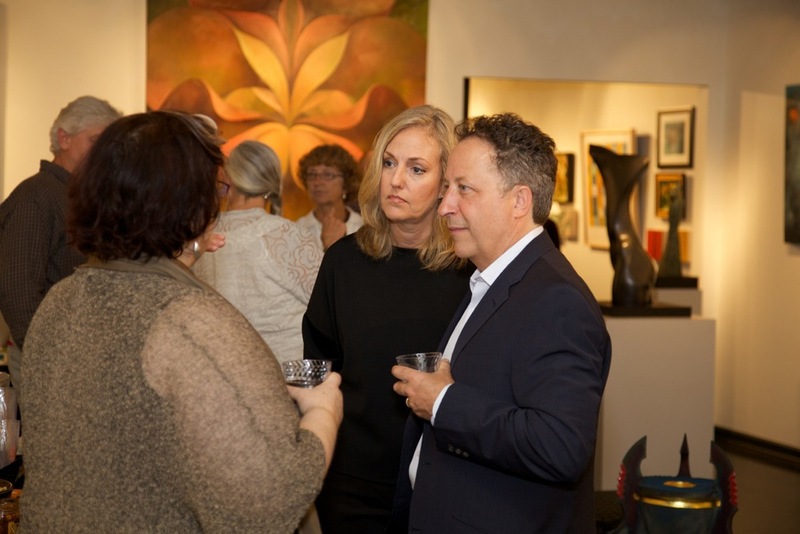 We were so pleased to have our local artist Francesco Lombardo speak to the wonderful crowd at the Art Walk on Friday April 4th. 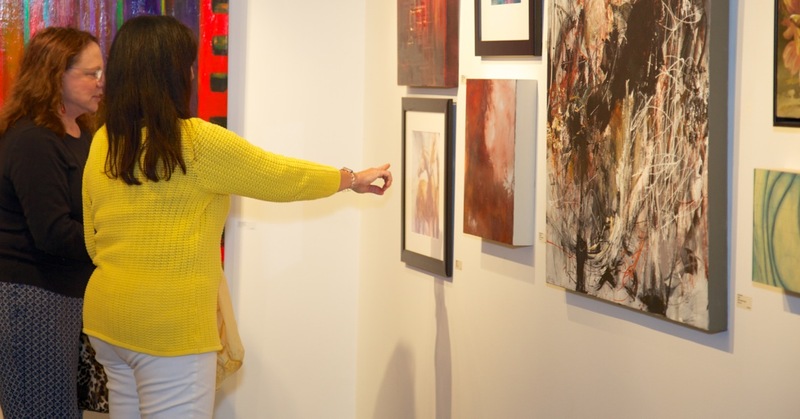 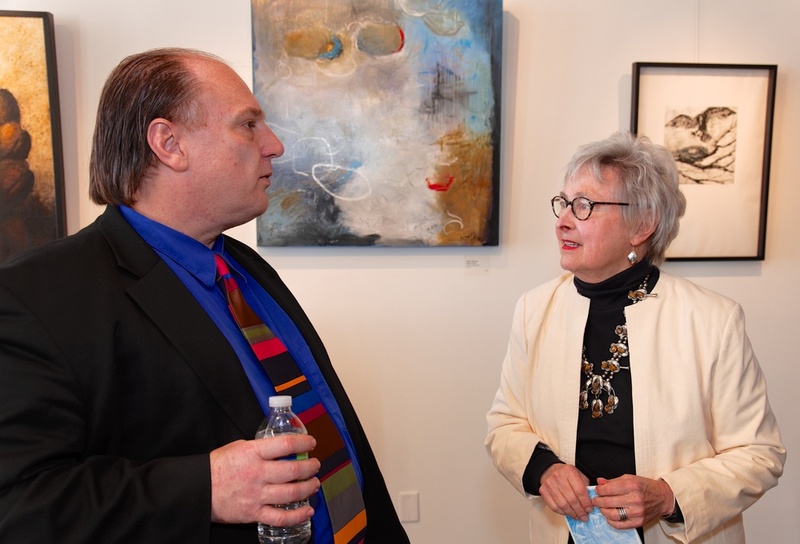 It was a wonderful way to usher in the Spring and the upcoming season of monthly First Friday Art Walks at Artetude Gallery. 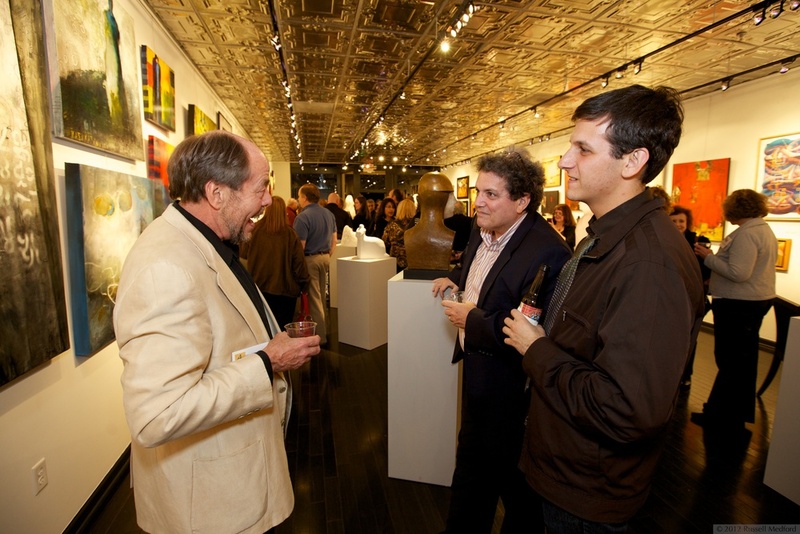 Lombardo has two large scale paintings currently on view at the gallery. 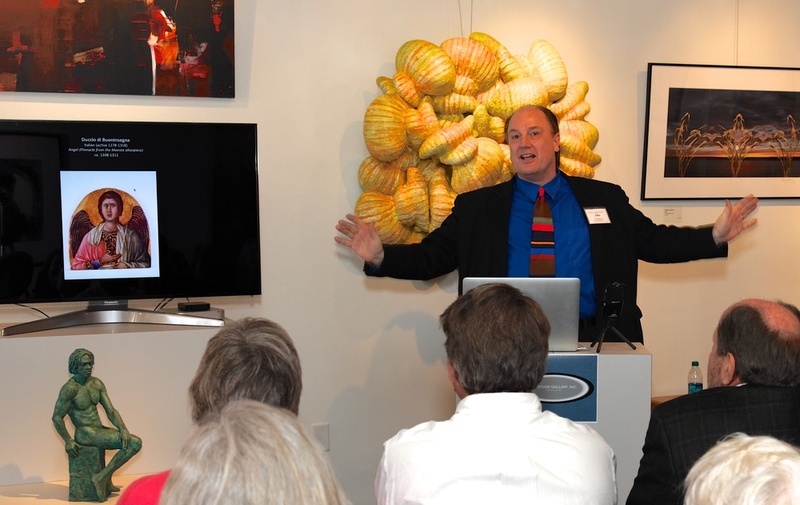 Click here to watch a video of the event. 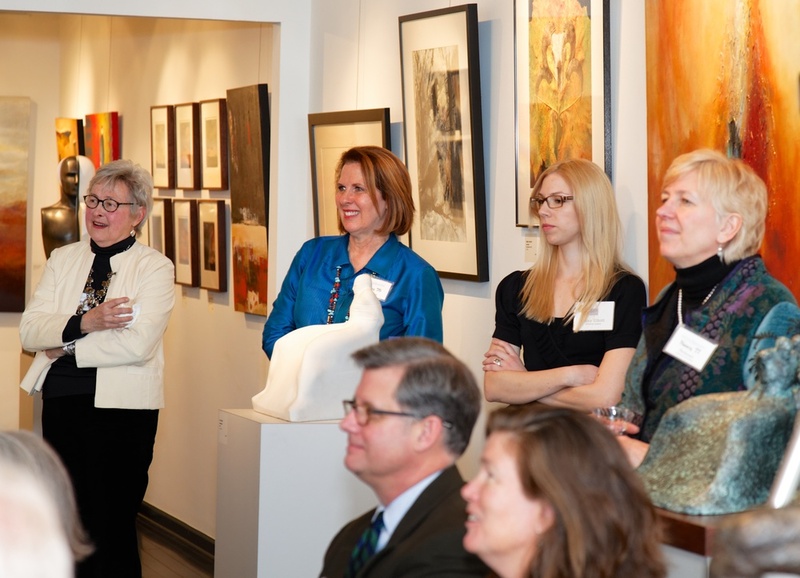 24 Feb 2013 - With over thirty past and future alumni, spouses and family, Artetude Gallery was proud to host "Sisters and Art" - a celebration of Mt Holyoke alumni highlighted by an outstanding lecture by Dr. John Stomberg, Florence Finch Abbott Director of the Mount Holyoke Art Museum, speaking on "Creativity, Innovation, and Leadership Through Art ". 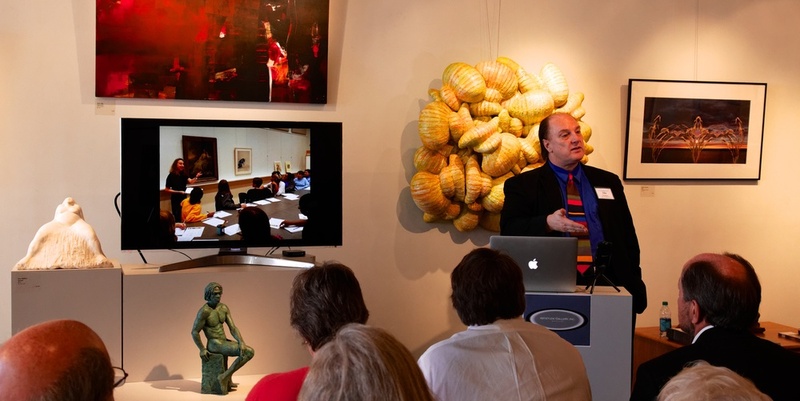 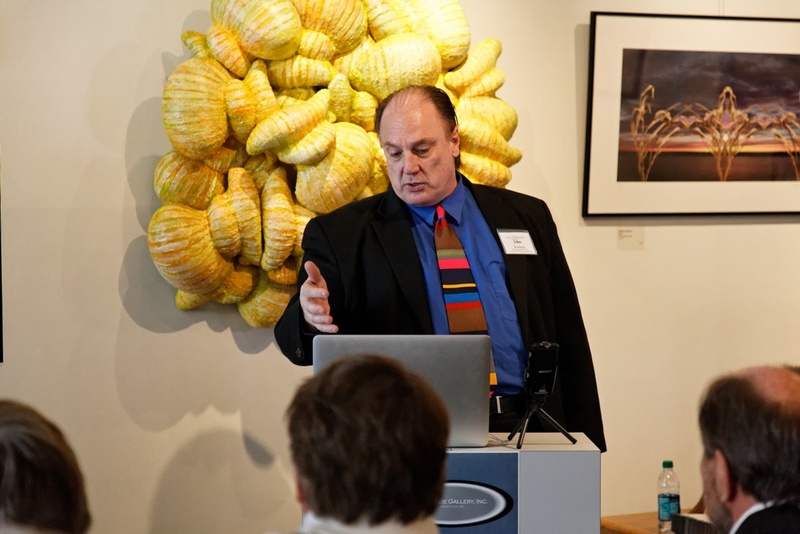 This outstanding, entertaining and informative talk explored the past, present and future of the Art Museum, its collection and its ambitious and innovative educational and curatorial initiatives. 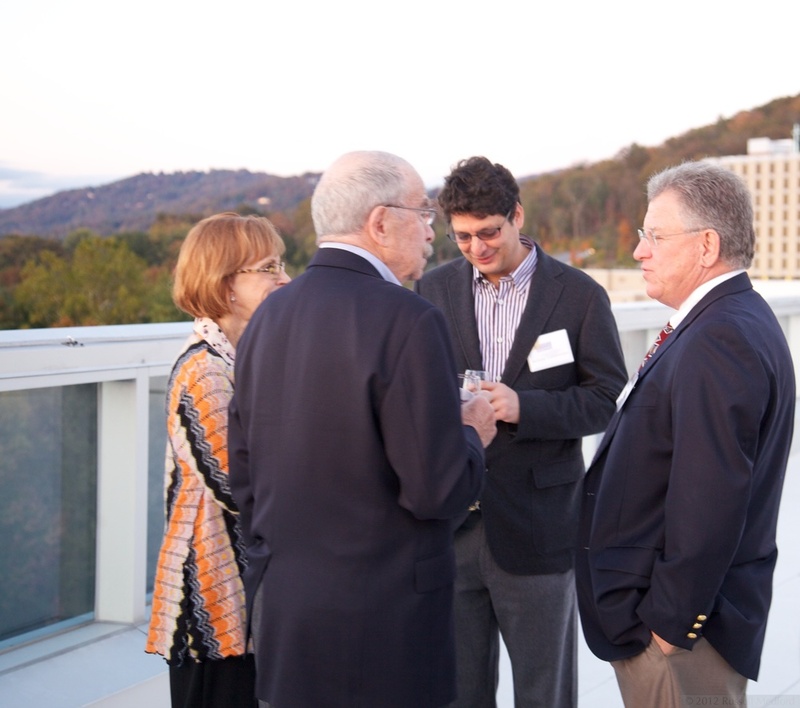 The event drew alumni from across North and South Carolina. 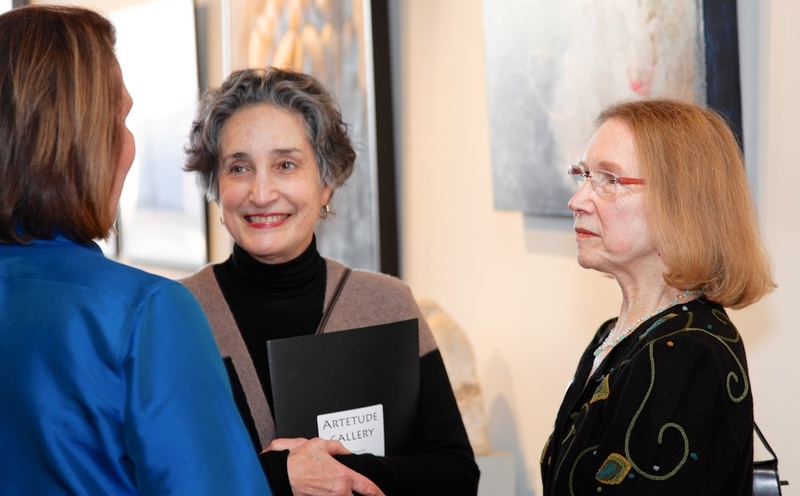 Mary Dryselius '66 introduces Margaret "Kenny" Offermann; MD, PhD co-owner of Artetude Gallery. 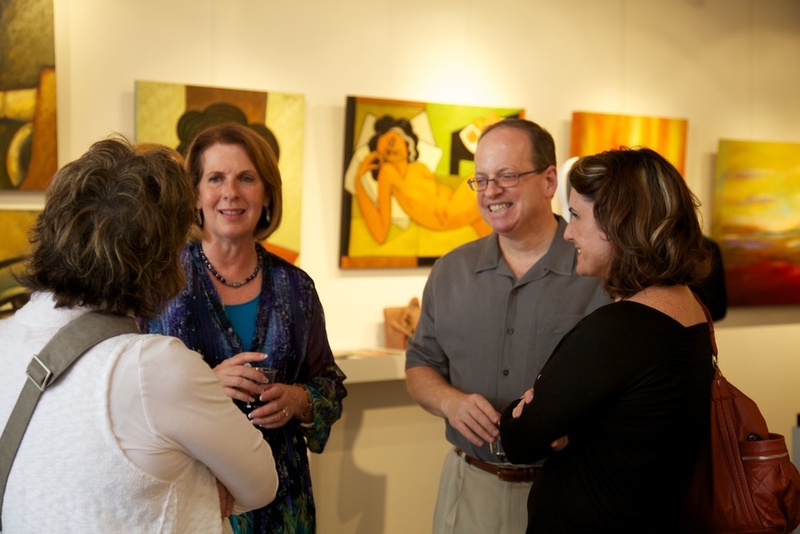 Our "soft" opening celebrated our first official day of business on June 1, 2012.